Find unforgettable sporty style and comfort in the SKECHERS Relaxed Fit®: Reggae Fest - Dory shoe. 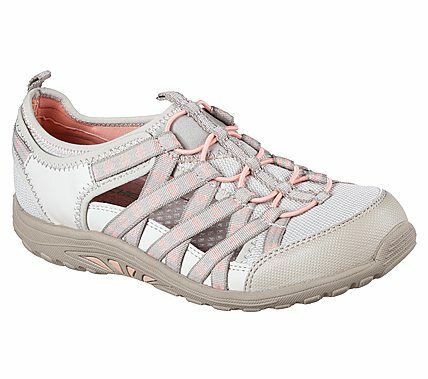 Mesh fabric and synthetic upper in a slip on bungee laced sporty casual comfort trail walking open sided sneaker with stitching and overlay accents. Air Cooled Memory Foam insole, classic Reggae outsole.